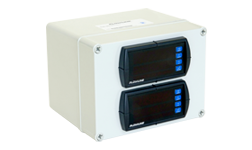 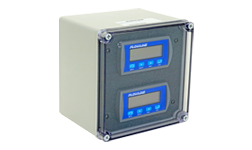 The general purpose AC or DC powered level controller displays engineering units with one 4-20 mA level transmitter input and is offered in three configurations with optional 2 or 4 programmable relays, and an isolated 4-20 mA repeater. 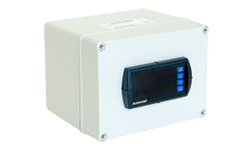 Each relay can be configured on a single set point (high level alarm or low level alarm) or latched on two set points for automatic fill or empty in simplex (one pump or valve) or duplex (two pumps) level control modes. 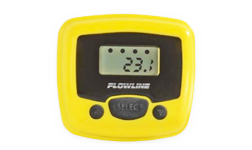 Categories: Tank Monitoring, Flowline Brand: Flowline. 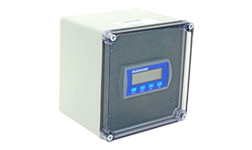 Consumption: VAC: 20 watts max., VDC: 15 watts max. 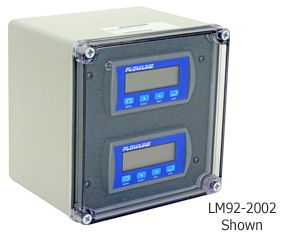 FM and CSA approved intrinsically safe, the loop powered level indicator displays engineering units connected in series with one 4-20 mA continuous level transmitter. 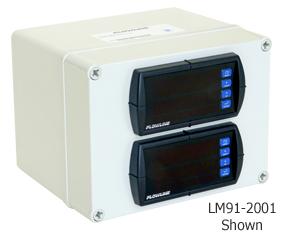 Select the LI25-2001 level indicator for hazardous applications with an intrinsically safe sensor. 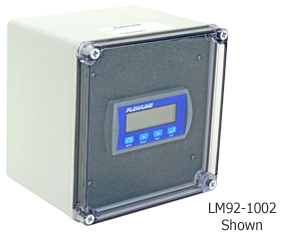 For field mount installation, add a single or two indicator NEMA box. 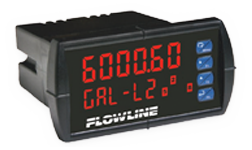 The general purpose loop powered level indicator displays engineering units connected in series with one 4-20 mA continuous level transmitter. 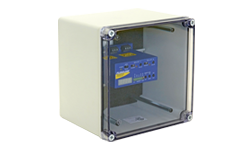 For field mount installation, add a single or two indicator NEMA box. 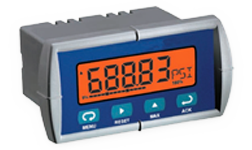 Compatible with any EchoPod sensor, the general purpose level indicator displays the measured value, applicable relay status and set point configuration of the attached sensor, as the sensor was configured to operate by WebCal software. 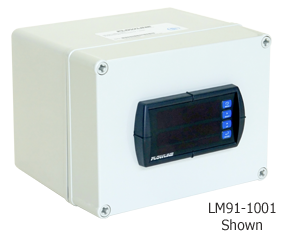 PodView requires no programming, and receives both power and data from the connected sensor. 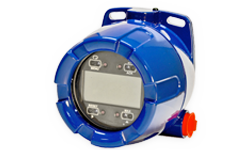 Through the indicator, users can adjust EchoPod relay set points in the field. 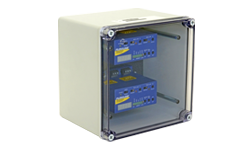 PodView is installed up to 15’ (4.5m) away from the sensor in a panel or NEMA enclosure.